As mental health professionals, we are required to sit with a supervisor for hundreds of hours of mentorship and supervision. That care and guidance typically ends when we receive our licenses. As our careers expand, we are faced with increased demands, greater challenges, complicated caseloads, and problematic staff, with limited (or no) support. 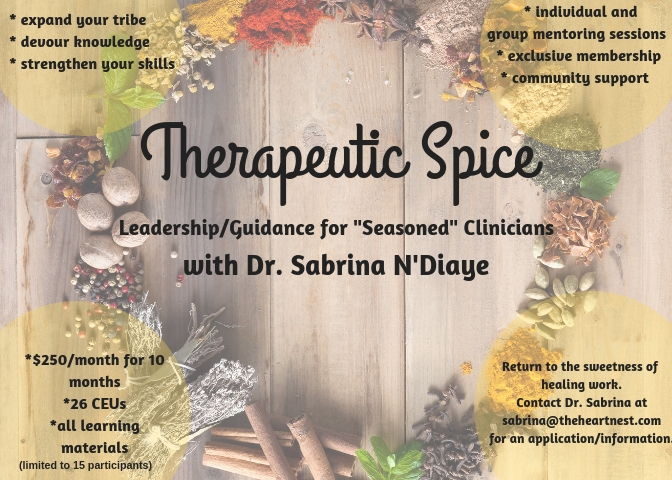 Therapeutic Spice, my mentoring program for leaders, is designed to fill that gap. 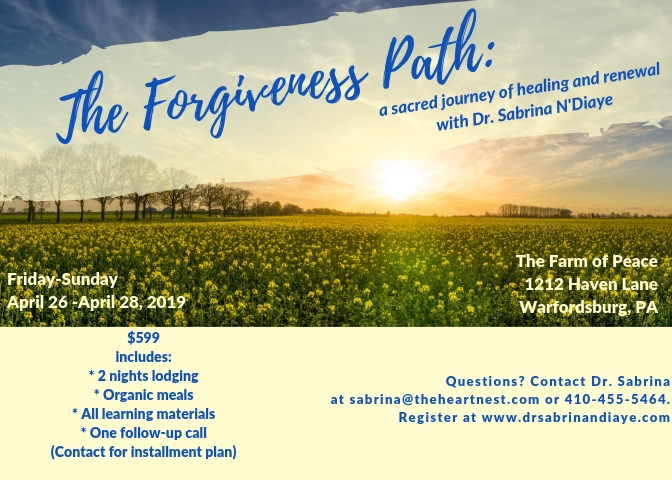 In the safety of other healers and leaders in our field, you will be invited to ask questions, receive answers, and tap into your own innate wisdom. The underdeveloped parts of your leadership will be strengthened, while the highly developed parts of you will be nourished and supported. I am accepting for the April 2019 program. You’ve been on this journey for a long time. And for many reason, you have fallen back into patterns of heartache, loneliness, and the illusion of separation. I’ve been on significant parts of this journey with you—holding your heart, and serving as an exquisite witness to your joys, and your sorrows. After working with countless amazing clients with similar stories, I have decided to create a group for us—smart, engaging, competent women, who are still working on knowing (and loving) themselves. 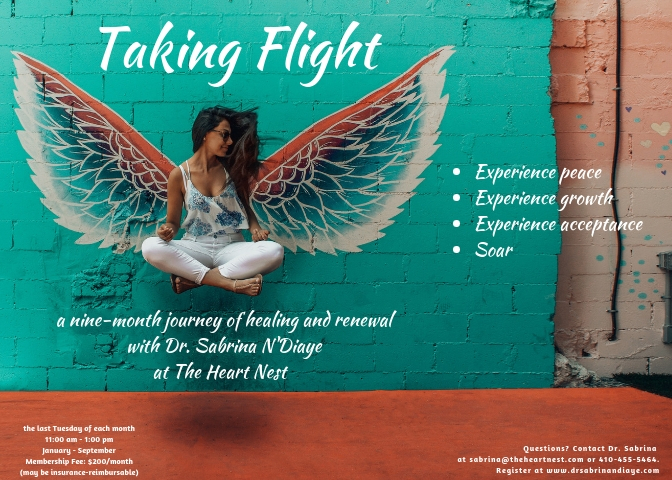 This small-group experience is an opportunity for you to see your life with new eyes, to share your story in the safety of others, and to taste the sweetness of validation and hope. Our sacred journey begins in January, 2019, and ends in September. Take your chance—see what awaits you on the other side of this adventure to yourself.